Photos courtesy of Drew McClellan. With a spray paint nozzle carefully aimed, Drew McClellan is making money off of California’s historic drought by creating emerald pathways for what would otherwise be barren, brown wastelands of sadness. That’s right: McClellan paints dead grass and is flipping many cities’ proclamations that “brown is the new green” right on its head. This is not to downsize municipal and statewide campaigns that have targeted and warned Californian citizens against the excessive use of water. Long Beach has boasted of three consecutive months of water usage that hit record lows and we’ve said it multiple times: the drought is very real. For some homeowners though, particularly those unable to afford altering their landscaping or simply unwilling to give up their lawn, their lawns have become depressing stretches of yellow’n’brown where green use to add a nice pop of color and life around homes. And let’s not even get started on poor people getting fined for not watering their lawns during a drought. A Florida native, McClellan often saw what many in Palm Springs and Palm Desert see: dyes used to colorize the vast stretches of golf courses. 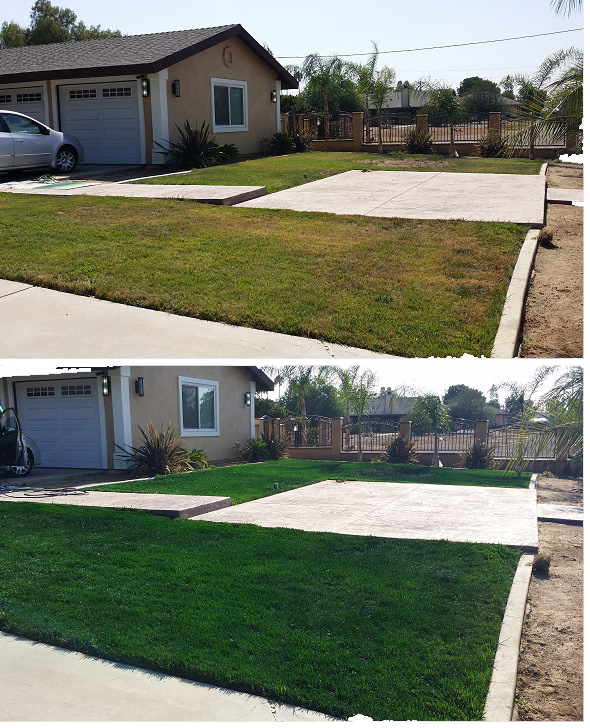 When a friend had lamented about the dingy color of his own lawn post-drought just three months ago, McClellan was quick to suggest painting the lawn. 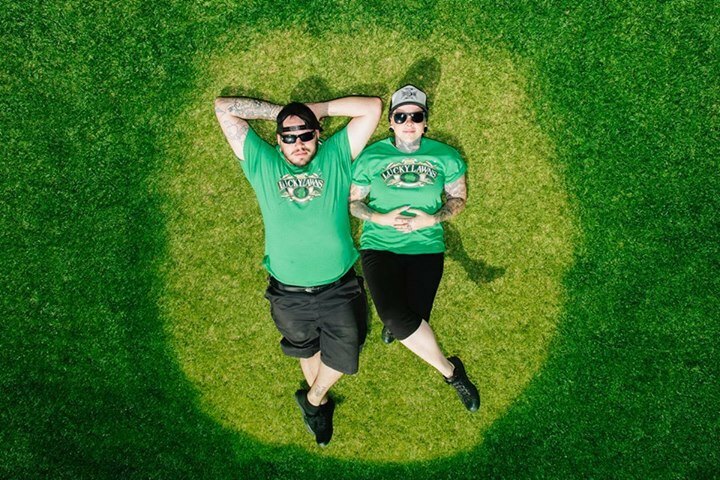 What was perceived as a joke became a very real concept as McClellan learned that most Californians had never heard of the concept—and Lucky Lawn was born. After saving up some funds and conjuring up some masterful rhetorical skills to convince his friends to let him paint their lawns, McClellan was soon showing off the power of paint. 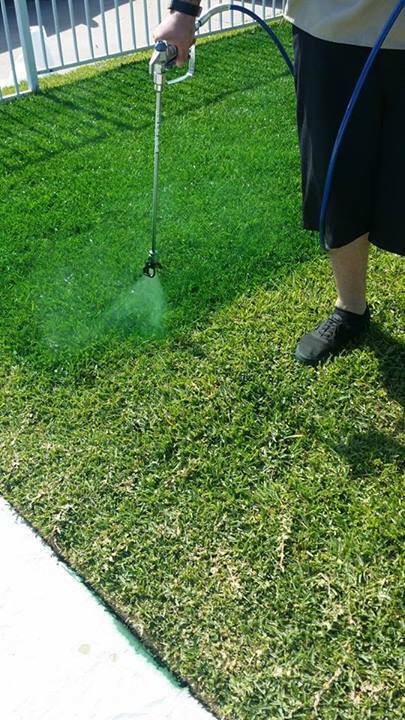 Four lawns have been completed in Long Beach specifically while other cities include Los Angeles, Bellflower, Norwalk, even places as far east as Riverside and as far south as Oceanside. For those skeptical about the word “paint,” the substance McClellan uses is actually a dye derived from flower pigments and is non-toxic. Even more, according to McClellan, once the dye dries, it creates a protective layer that not only allows roots to retain water longer and, in return, cuts down on the need to water more often, but also provides UV protection for the leaves. 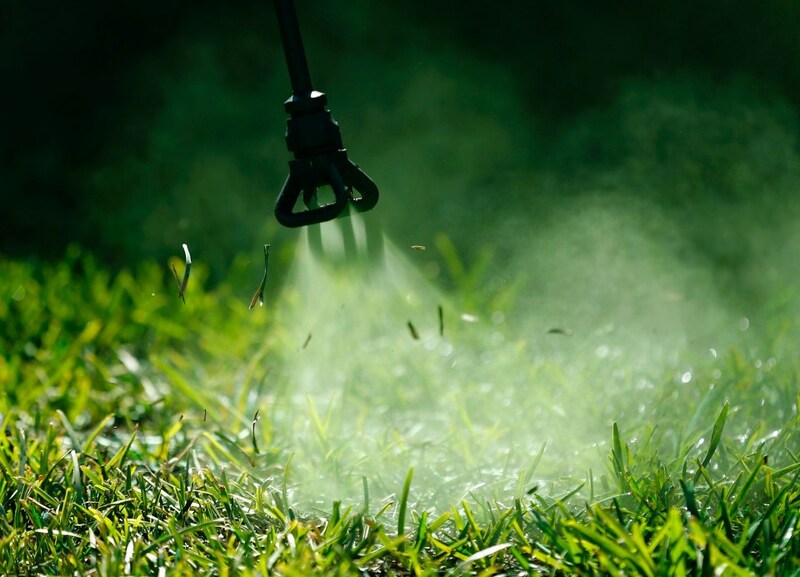 Depending on how often you trim your lawn, the coloring can last three to six months. As the business expands, McClellan hopes to eventually open a brick-and-mortar.